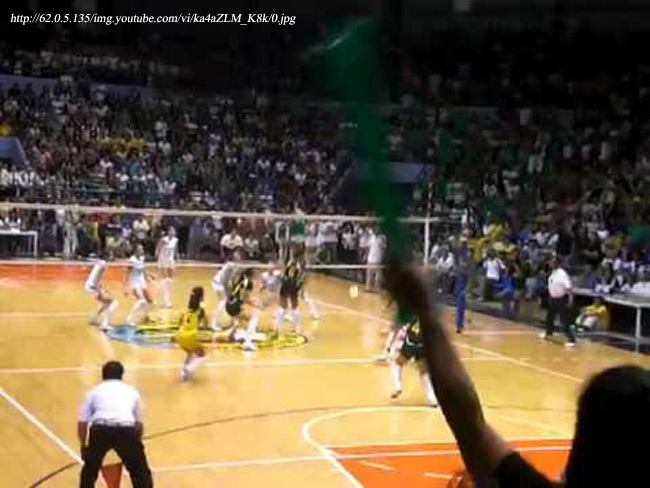 I was watching the final elimination round match yesterday of the UAAP women’s volleyball tournament between DLSU and UST and was struck by how similar circumstances were to almost exactly this time last season. Last year, La Salle was attempting to waltz through the elimination rounds unscathed; but fell to a peaking UST at the final hurdle. The two teams met again in the finals and – call it the Year of the Tiger effect if you like – the Lady Tigers rewrote the script completely by sweeping the Lady Spikers aside for the championship. It was not supposed to be how the tournament ended because La Salle – or at least before its loss to UST in the elimination round – had looked like a certifiable mean machine. It was exactly the same yesterday. The one loss tainting La Salle’s standing was due to a boardroom reversal; La Salle had fielded players who participated in another tournament and were forced to forfeit a match against UE during which the erring players were fielded. La Salle had, incidentally, won that match on the court as well. In contrast, UST’s form this season had been indifferent; erratic even. It had already lost three times before yesterday’s encounter with La Salle; and extended to several five-setters even by teams which – by UST’s pedigree alone – should have been dispatched without breaking much sweat. True to form, La Salle almost completely dominated the first set, comfortably winning 25-20. The Lady Spikers were still in cruise control in the second set to build up a 19-11 lead, with UST seemingly in self-destruct mode. For some reason, La Salle took its foot off the pedal and allowed UST to claw back menacingly. La Salle’s head coach saw fit to call for a timeout, during which he had a go at his players. “Hindî natatapos ang game sa 19!” he warned. Fair enough; and not that it had the desired effect on his players because UST wrapped the set up, anyway. The score was 25-27. I thought, even last season when I followed the fortunes of the team on television, that La Salle’s coach needed to handle pressure under adversity a little bit better than he did. Credit must be given to him for building a team capable of clinically efficient volleyball, one that can stay all-season long at the top of the table. That said, La Salle – in a manner of speaking – is also a victim of its own successes. It is a team that has little experience of the adversity of being behind, when the pressure is different and real character is needed to claw back into a position of advantage. When a team is starting to buckle under the pressure, the coach needs to calm the team down and restore equanimity. There are teams, in fairness, that respond to high-pitched overtures and dagger looks. La Salle – at least in yesterday’s second set – could have benefited from the calmness of UST’s coach. The latter – and maybe it is just his personality – could convey his irritation to his team when they were behind without being overly excitable. The rot started when La Salle’s star spiker Jacky Alarca was rested. 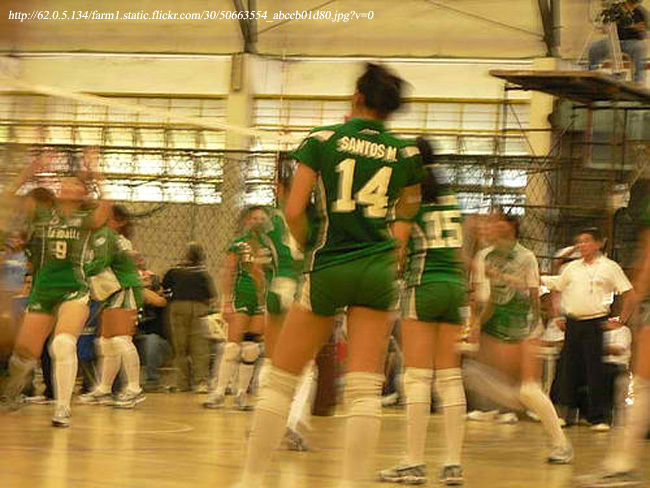 This coincided with a succession of reception errors, La Salle’s libero Gohing – of all people – the most culpable. The set was also marred by serving errors galore. Although UST looked like easy prey in the first set, suddenly the roles were reversed and La Salle looked not at all like the team that had swept all before it prior to this game. 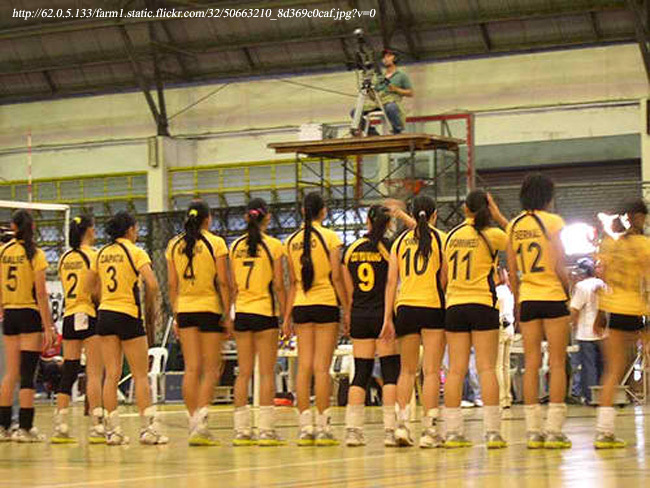 The predominantly pro-UST crowd, of course, had risen to its feet and had a lot to do with its team’s resurgence. It was exactly as last season, when emotions from the crowd spilled over to the court to elevate the Lady Tigers to heights they previously doubted they could ascend to. 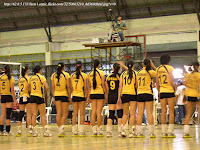 The performance did not improve in the third set, which UST won 18-25. For the first time in the tournament, La Salle was behind two sets to one. UST looked to be running away with this one – as it did last year – and was, at one point, up 17-14 in the fourth and pivotal set. Then, momentum suddenly shifted back to La Salle. Significantly – or so I thought – La Salle’s coach allowed his players to just get on with it; and when he did call a timeout, he was not as high-strung as before. Perhaps, he was just resigned to this being a reenactment of last year’s encounter with the same team. Maybe it was Mother Luck waving her wand his team’s way, for a change. At any rate, his players managed to claw back to eventually win the set, 25-22. With the score tied at two sets apiece, the abbreviated fifth set was up for grabs. While UST was flying in the second and third sets, doubts crept back into the minds of its players and it did not play as dominantly in the fourth. For La Salle, in contrast, belief started to return. In the end, its 15-12 victory in the fifth and final set meant it had scored the double over the defending champion and – perhaps – a valuable psychological advantage. Make no mistake about it, if these two teams face up again in the finals, UST will still be no pushover. For La Salle, though, yesterday’s victory over its main rival can make the world of a difference. Steamrolling teams in an empty arena is one thing; defeating its chief rival before a predominantly hostile crowd is another. The experience – in yesterday’s game – of falling and rising to fight back will be invaluable when the Lady Spikers fight for gold. A great team does not become bad at the switch of a button; but the Lady Spikers looked exactly like that in the second and third sets. If La Salle remembers what it is, not allow the doubts to creep in, not allow the crowd to get under its skin and keeps its chin up when it is behind, then maybe this time it can lay the ghost of last year’s painful championship loss to the Lady Tigers to rest. In sport, there are times for pumping the adrenalin up; but there are also times when taking deep breaths to calm the nerves are just as necessary. La Salle’s coach may – if they get to play in the championship game again – just need to bottle up his irritation when things are not going well and just ask his players to take five deep breaths if he and his players are to get the reward they all so richly deserve.